Hello again, I Heart Naptime readers! It’s Alicia from The Baker Upstairs and I have another fantastic mini dessert to share with you today! 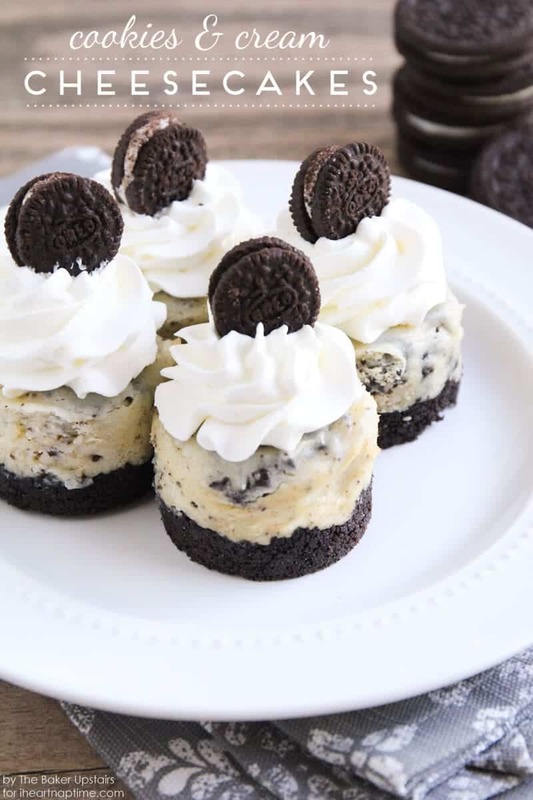 I love mini desserts in all forms, but these mini cookies and cream cheesecakes are particularly delicious. 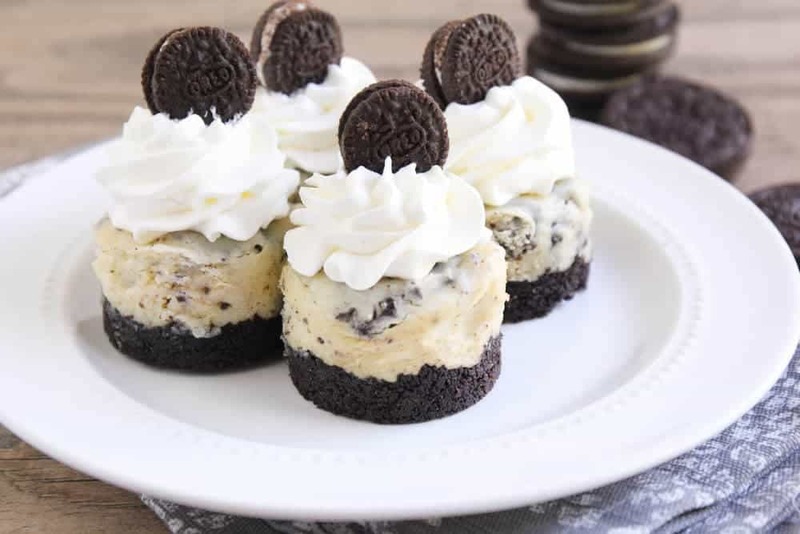 A rich, simple cheesecake studded with delicious Oreo cookie chunks, topped with heavenly homemade whipped cream and mini Oreo cookies… what could be better? 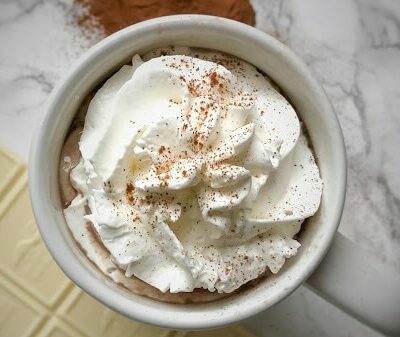 They are so simple and easy to whip up, have only a few ingredients, and taste amazing! 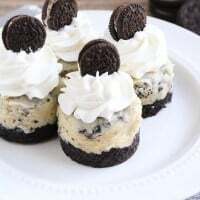 These cheesecakes would be perfect for any of the holiday parties coming up, but they’re so easy to make that they’re really just perfect any time! 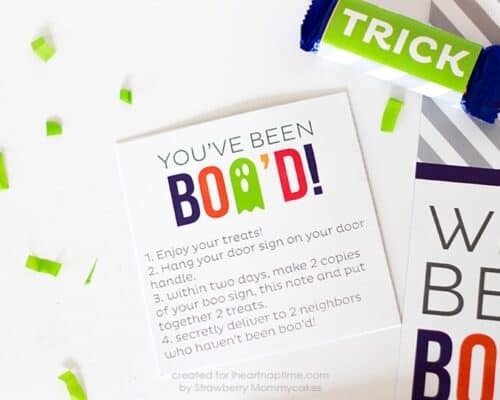 I had made these with the goal of sharing them with the neighbors, but my husband and kids got to them first and they were all gone in no time. I guess we’ll just have to make another batch posthaste! 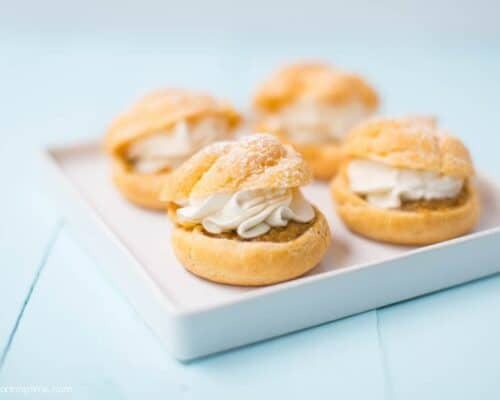 Love this delicious mini-dessert? You’ll like these, too! 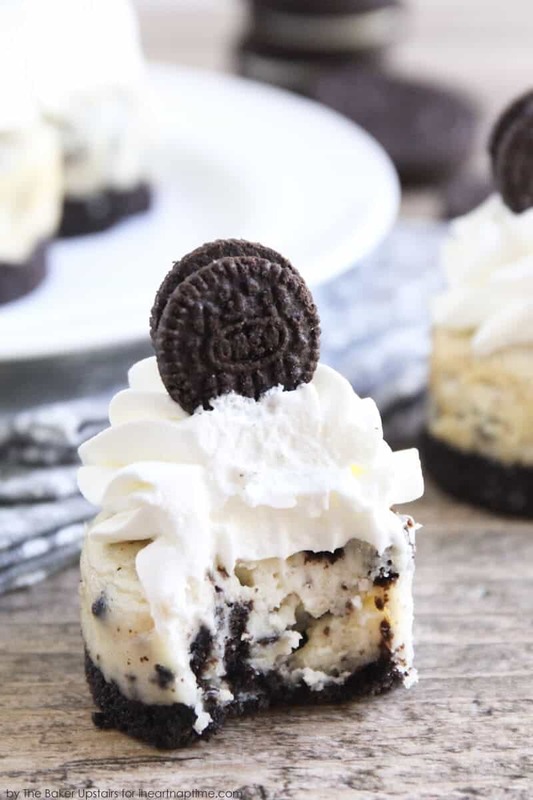 A rich, simple cheesecake studded with delicious Oreo cookie chunks, topped with heavenly homemade whipped cream and mini Oreo cookies... what could be better? 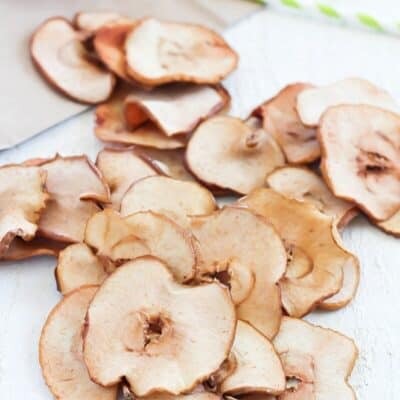 They are so simple and easy to whip up, have only a few ingredients, and taste amazing! Preheat the oven to 350. Prepare a mini cheesecake pan by spraying with cooking spray. (You could also use a regular muffin tin lined with paper liners instead, but you will most likely get 8-10 cheesecakes instead of 12.) Crush the Oreo cookies until fine and mix with the melted butter. 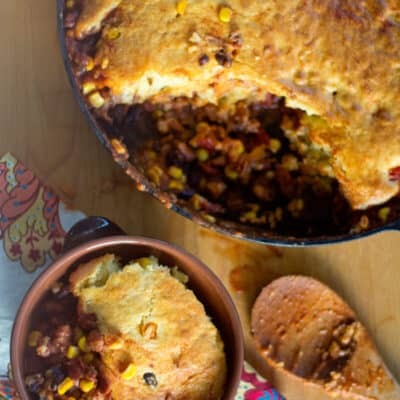 Spoon into the prepared pan, adding about 1 1/2 teaspoons to each well of the tin. Press the crust down with your fingers. Bake five minutes, then remove and let cool slightly. While the crust is baking, beat together the cream cheese, sugar, vanilla, egg, and salt until well combined. Fold in the chopped Oreo cookies. Spoon into the cheesecake pan, filling each well nearly full. Tap gently on the counter to remove any air bubbles. Bake 15-18 minutes, or until the cheesecakes are puffed up and only jiggle slightly when shaken gently. Remove and let cool, then chill in the fridge. When the cheesecakes have chilled, whip the heavy cream until light and fluffy. Beat in the powdered sugar. 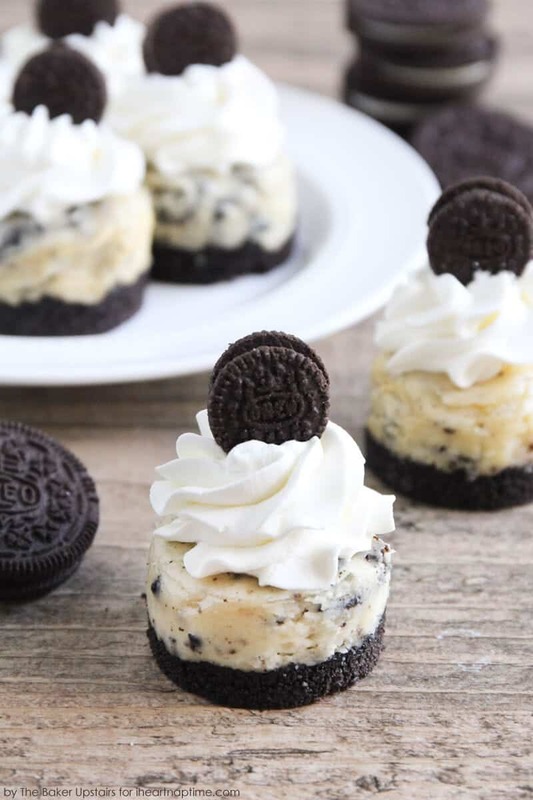 Pipe onto the cooled cheesecakes and top each with a mini Oreo cookie. Enjoy! Hi Diane! I haven’t made these in larger muffin tins so I am not sure of the cook time. 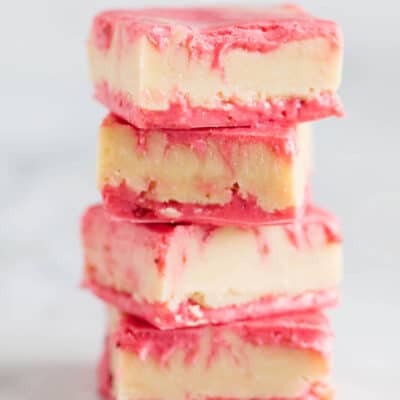 I would just watch them after 20 minutes and you’ll know they are done when the cheesecakes are puffed up and only jiggle slightly when shaken gently. Yum! These look dangerously delicious! We love all things cookies and cream in our house! Oh golly gosh this looks heavenly! !